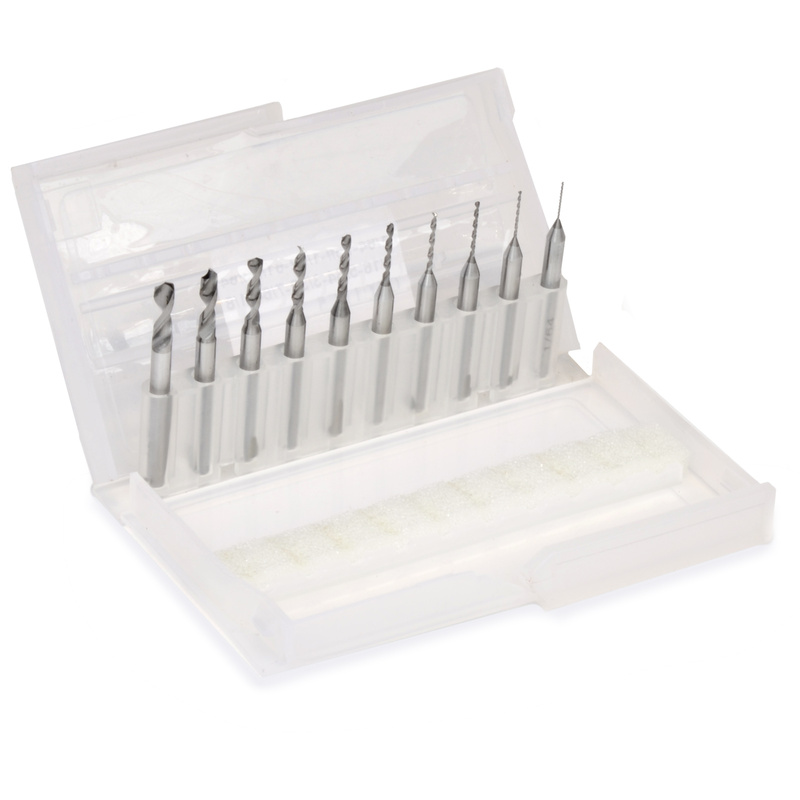 Long-time Micro-Mark customers might remember this very popular 10-piece Carbide Drill Bit Set that we were forced to discontinue due to lack of availability. We are happy to once again offer this outstanding set to you. These bits are super sharp, will last longer and cut cleaner holes - and do it fast! Can be used on a wide variety of materials. 1/8 inch shank. Comes in a plastic storage case. Inch Bit Set includes: 1/64, #75 (.021 inch), 1/32, #61 (.039 inch), 3/64, 1/16, 5/64, 3/32, 7/64 and 1/8.